It was Pfc. Bob Balch’s job to retrieve the spent brass shells as they ejected from the breach of a 105 millimeter Howitzer. He was a cannonier, a hot shell man, and a member of a six-man crew that serviced a cannon in the 85th Infantry Division, part of Gen. Mark Clark’s 5th Army fighting in Italy during World War II. “We arrived in Naples, Italy in the winter of 1944 aboard British ships and it was bitter cold,” the 91-year-old Venice, Fla. resident recalled more than 65 years later. “The port area of Naples was a pile of rubble. Sunken ships filled the harbor. Shortly after we docked the Germas bombed the port. We hid under a freight car filled with ammunition. “We fought our way up the Italian boot to Monte Casino. That’s where I developed appendicitis. I was taken out of the line and sent back to a MASH hospital and operated on. 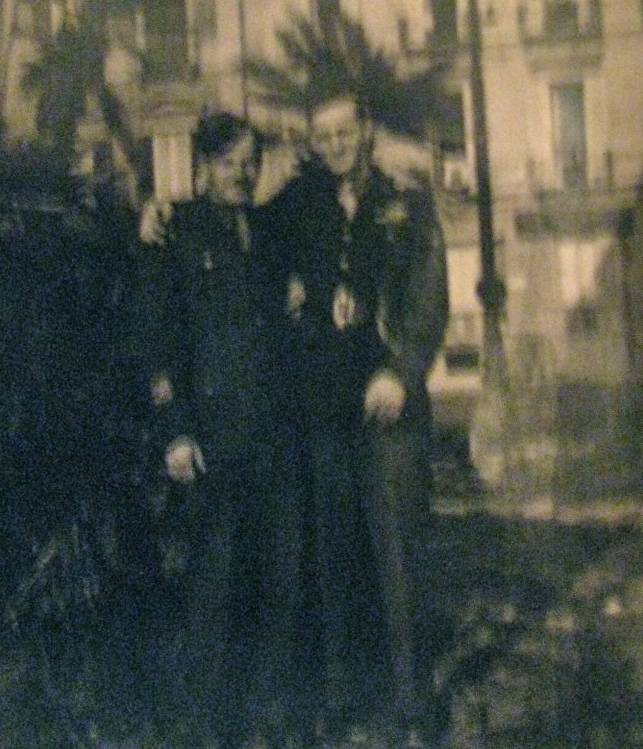 “By the time I returned to the front my unit was just south of Rome. Every town we passed through had been decimated by war. I wondered if the Italians would ever get their cities in order again. “The closer we moved toward Rome we saw more and more wreckage along the road. We spent most of our time grinding the enemy down and pushing him back. “By this time Rome had been declared an open city. It was spared the horrors of war,” Balch explained. “We were in the process of capturing Lanuvio, a little village south of Rome. We arrived in Lanuvio at night. The Germans mined the entrance to the town. So we retreated and went around the outside of the village. “As we approached a railroad track, outside of town, we found a place to set up our 105s. It was about this time we came across a mule train carrying ammunition and food to our boys at the front,” he said. “On their return trip the mules would carry dead American soldiers draped over the mules’ backs. “Shortly after setting up our guns at the railroad track the Germans poured a number of 88 rounds into our area. One of the mules near the tracks was hit by shrapnel from a German 88. It’s dying screams sounded almost human. “Early the next morning a firing mission came down to us. By this time our 105 unit was working smoothly as a group. As we we loaded and fired everything was going fine until one of our 105 rounds hit the branch of a tree a short distance in front of us and exploded throwing shrapnel everywhere. “All at once I was knocked off my feet. It felt like someone had swung an ax and caught me in my left thigh,” Balch recalled. “The explosion deafened me for a while, but that wasn’t my main problem. Pain was starting to really bother me when a medic came along and gave me a shot of morphine. God bless him. That quickly reduced my pain. “I was to learn later that two in our crew had been killed by the shrapnel explosion and two of us were severely wounded. Shrapnel took a big chunk out of the shoulder of one of our cannoniers. He was lying there right in front of me on the ground saying, ‘Oh my God, Oh my God!.’ He died right there a few minutes later. “The two of us who survived were taken out of the area in a ‘Meat Wagon’ to a MASH hospital just behind the lines. The first day after I was wounded I was sent on to a hospital in Naples were I eventually recovered,” Balch said. Instead of being sent back to the front lines with the 85th Division after he was back on his feet he was assigned to a motor pool outfit in Naples that delivered ammunition and food to the troops up at the front. 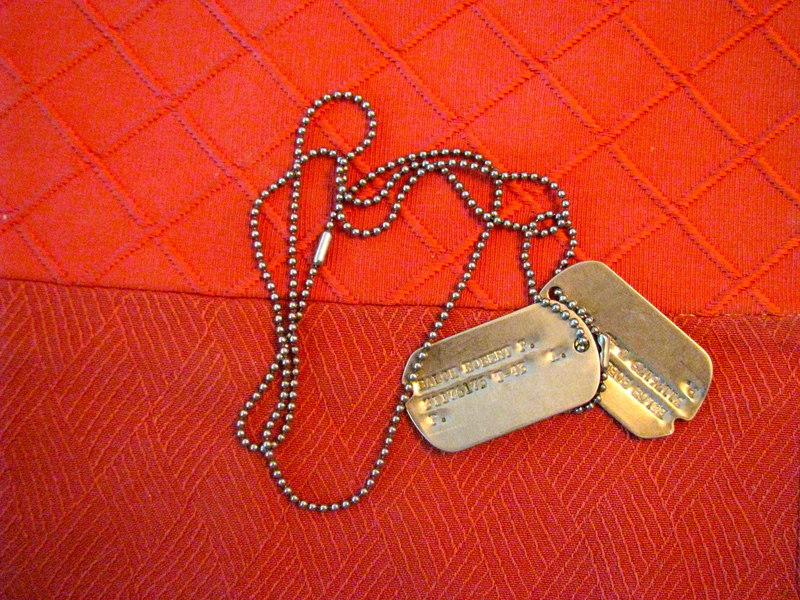 Balch spent the remainder of the war there working in the motor pool. Although he volunteered to fight in the Pacific Theater of Operations after the Germans unconditionally surrendered on May 8, 1945, Balch’s services weren’t needed in the Pacific. He sailed home aboard the carrier USS Langley to Hampton Rhodes, Va. and was discharged from the Army on Dec. 8, 1945. He went to work for North American Rockwell Corp. shortly after the war as a draftsman. He stayed with the firm for the next 30 plus years until his retirement. Balch and his wife, Dorothy, moved to Naples in 1980. In 1999 the couple relocated to Bird Bay in Venice. They have two grown daughters, Lorraine and Linda. This story was first published in the Charlotte Sun newspaper, Port Charlotte, Florida on Monday, Jan. 14, 2013 and is republished with permission. Click here to view Balch’s collection in the Library of Congress VHP. Robert P. Balch, 96, of Venice, FL passed away April 19, 2017. He was born January 1, 1921 in Montreal, Canada to Lyle and Bessie Balch. He was a graduate of Amherst High School in Amherst, NH and attended Worcester Jr College in MA. He moved to Venice in January of 2000 from Naples, FL. Prior to moving to Naples, he resided in Upton, MA. Before retiring, Mr. Balch worked as a Research Designer with Draper (which became Rockwell Industries) in Hopedale, Mass. 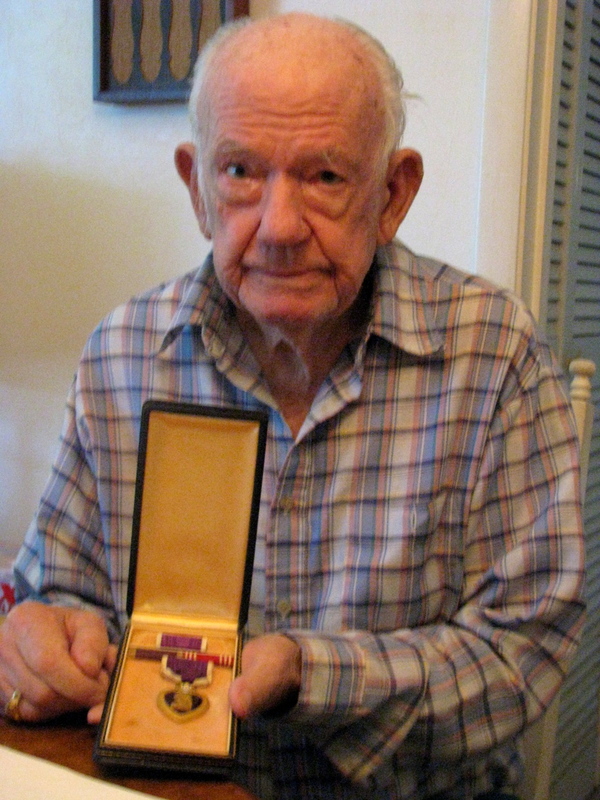 He was a WWII Army Veteran, and recipient of a Purple Heart. He was blessed to have been chosen to travel with the Angel Flight program to visit the WWII Monument in Washington DC. Mr. Balch was a former Officer with the American Legion, and a Mason of over 50 years at the Franklin Lodge in Grafton, Mass. Locally in Venice, he attended Grace Methodist Church. He was an avid reader, a poet and loved to travel. He was a beloved family man with a great sense of humor and was fondly referred to as a “walking dictionary”. He will be missed by all who knew and loved him. He is survived by his wife of 71 years, Dorothy Colcord Balch of Venice, FL; daughters, Linda Langley of Venice, FL and Lorraine (Thomas) Limero of Houston, TX; Five grandchildren: Jason Langley and Allison Langley of Venice, FL and Christopher Limero of League City, TX, Kyle Limero of Houston, TX and Rachel (Limero) McKee of Baytown, TX, four great grandchildren. Services are being held privately. Those planning an expression of sympathy are asked to consider a donation to Tidewell Hospice, at tidewell.org.